Mixdeck Express, MIDI Control Surface for DJ from Numark. Numark introduces Mixdeck Express, a DJ system that comes with Virtual DJ software, two CD decks, two USB flash-drive ports, and a three-channel mixer. 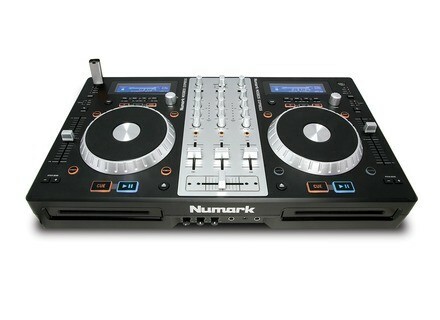 Numark will unveil Mixdeck Express at Booth #400 at the 2011 Summer NAMM show from July 21st- 23rd in Nashville, TN. The Mixdeck Express DJ system is designed to be compatible with various music sources that DJs employ, whether it’s CD, MP3 CDs, USB thumb drives, DJ software or external sources like a turntable or iPod. Mixdeck Express features cue, brake, and reverse controls, a replaceable crossfader, looping capability and large, touch-sensitive platters for mixing and scratching. MIDI control is included on each deck of this new universal DJ system along with a built in audio interface for DJing with a computer. Balanced XLR outputs provide connection to sound systems, and Mixdeck Express also offers both 1/8” and 1/4” headphone outputs. DJs can mix in any external playback device or microphone using Mixdeck Express’ built-in 3-channel mixer and external inputs including stereo RCA auxiliary inputs and two mic inputs - one front-facing and one rear-facing. Each mixer channel features a three-band EQ with rotary kills. Anti-Shock buffered skip-protection technology is included on both CD decks. Mixdeck Express is DJ equipment that comes standard with Virtual DJ LE software in North/South America and Traktor LE software in Europe. Virtual DJ LE offers essential performance features for audio files, karaoke, and videos like instant BPM detection, Effects, sampling, automatic beatmatch and smart loops. For more information on the Mixdeck Express, visit www.numark.com/mixdeck. 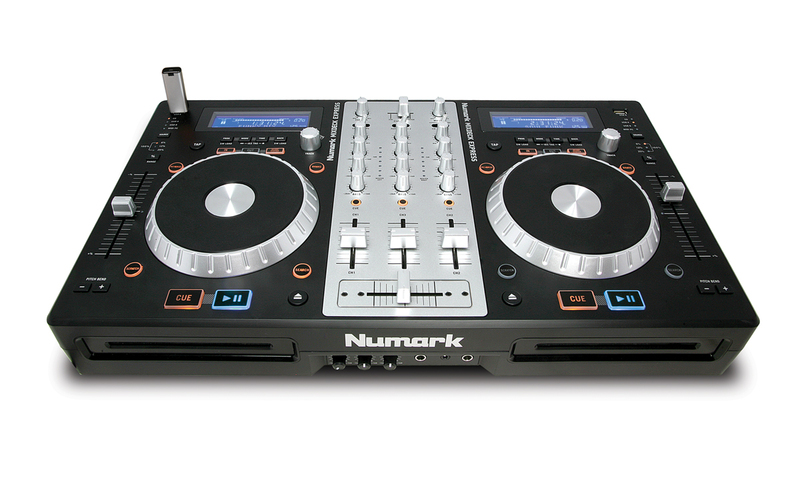 [NAMM] Numark NDX900 Numark introduces NDX900, a DJ controller and MP3/CD/USB player. Algoriddim jjay 3.1.3 Algoriddim have released djay 3.1.3 for Mac — a free update for all registered users of djay 3 designed to take advantage of the new OS X Lion with a new full screen mode, improved multi-touch control and more. Pioneer DJM-2000 Firmware Update Available Pioneer have released a firmware update for the DJM-2000 designed to add new features and improve performance.